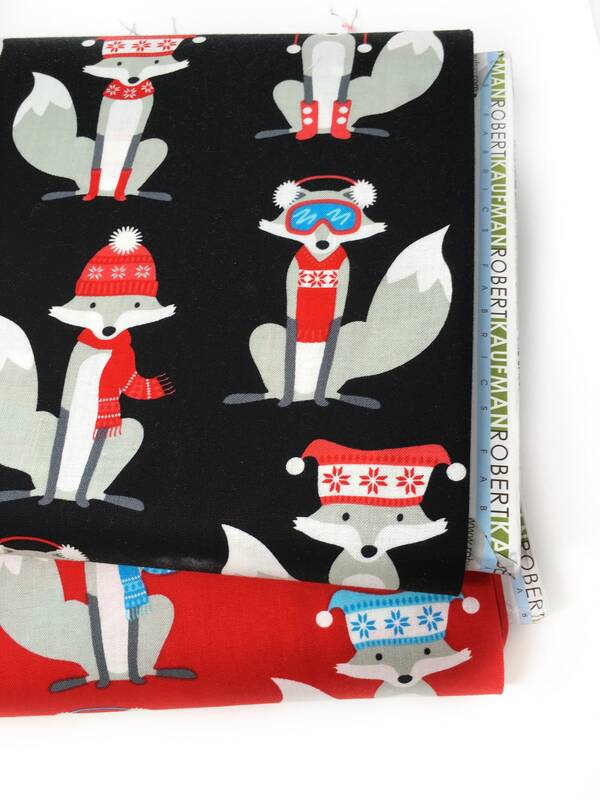 Robert Kaufman Polar pals printed cotton. 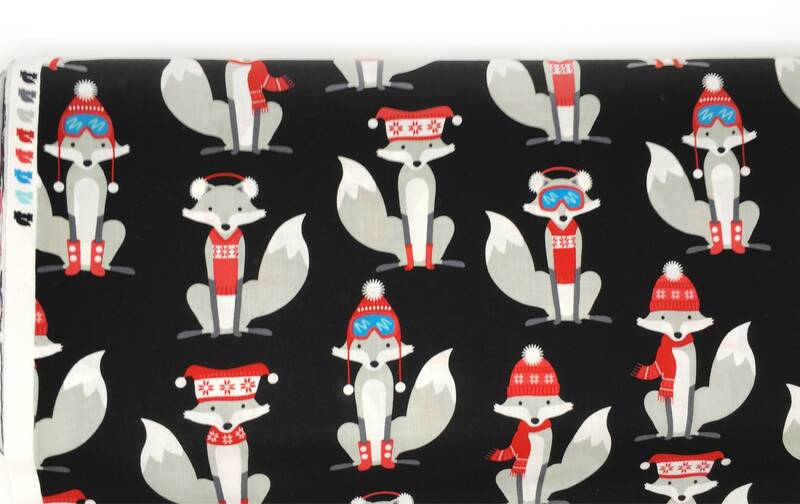 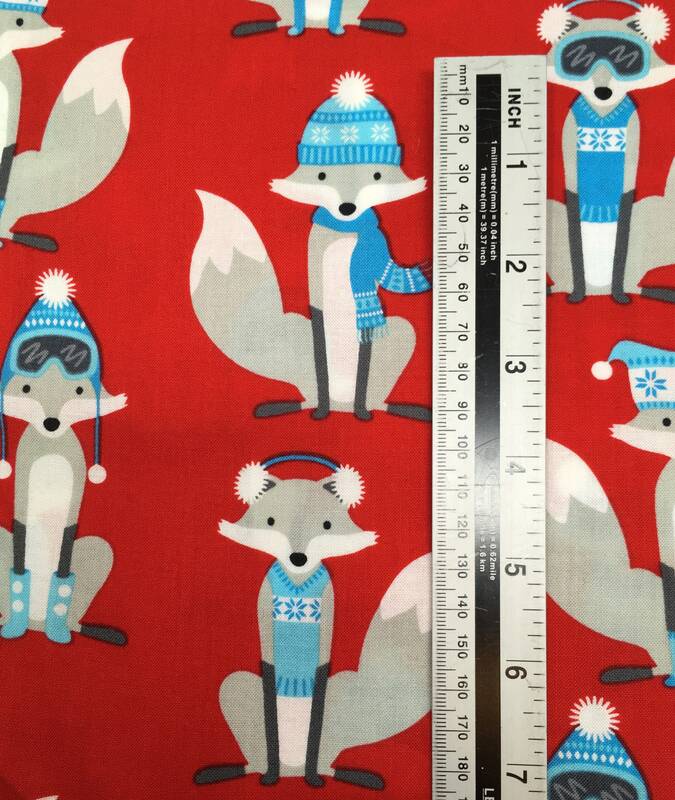 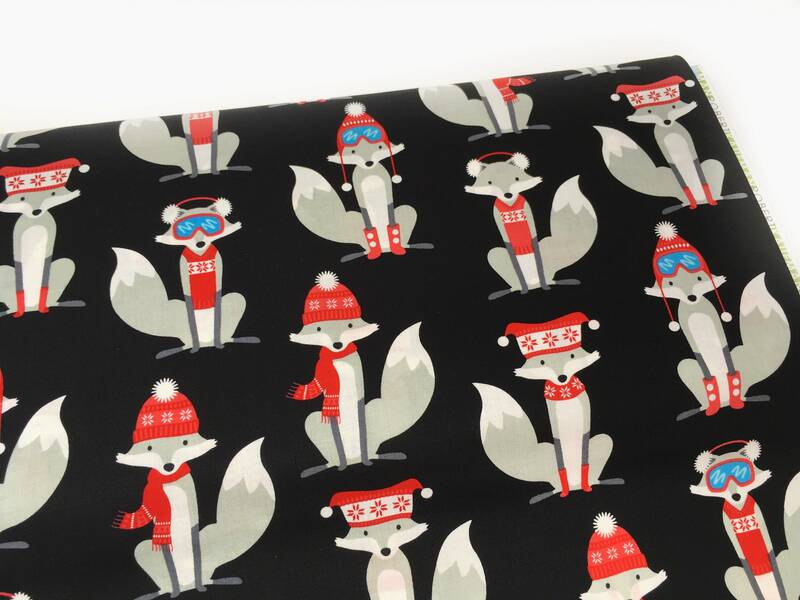 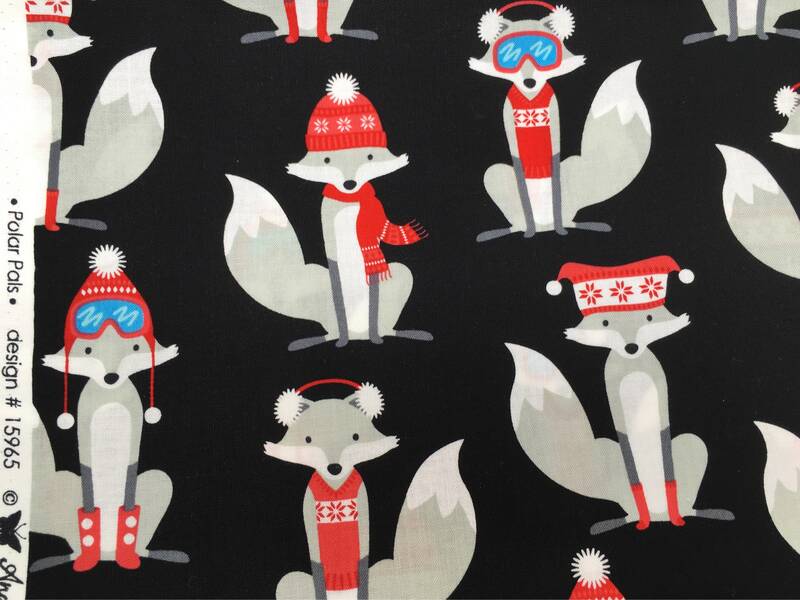 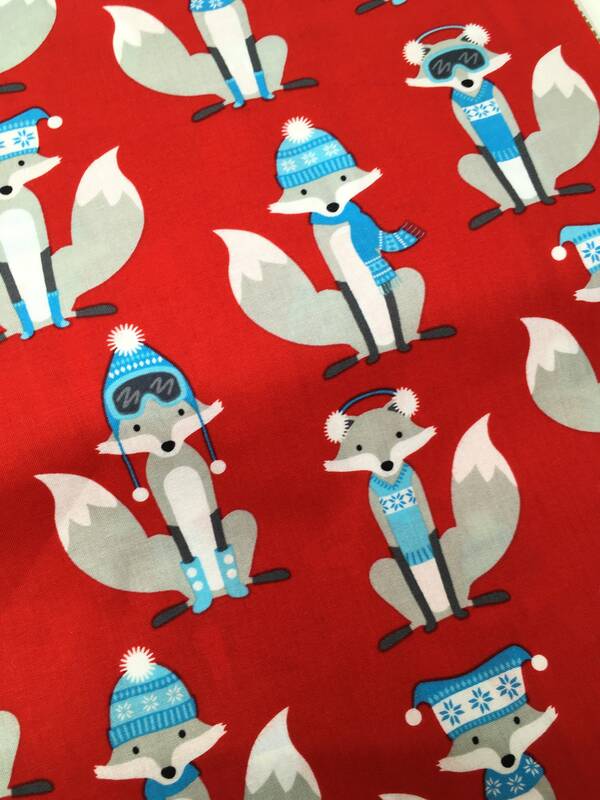 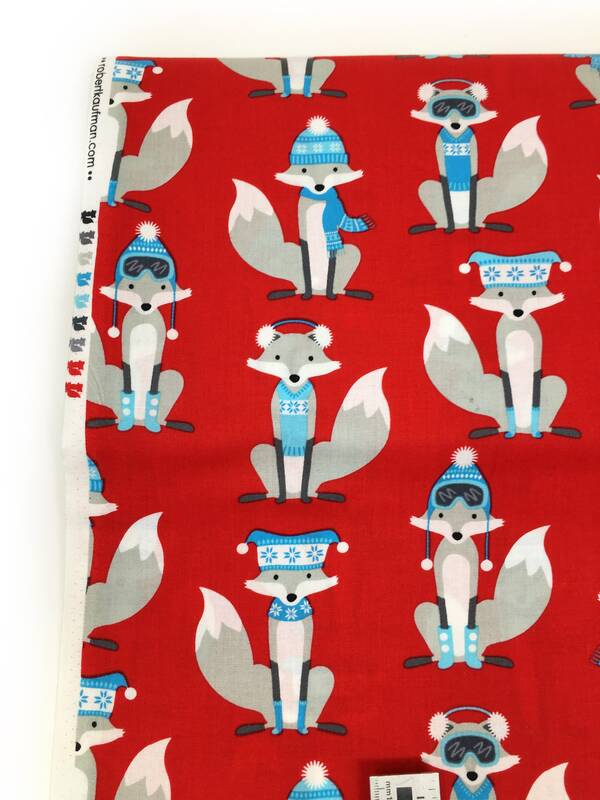 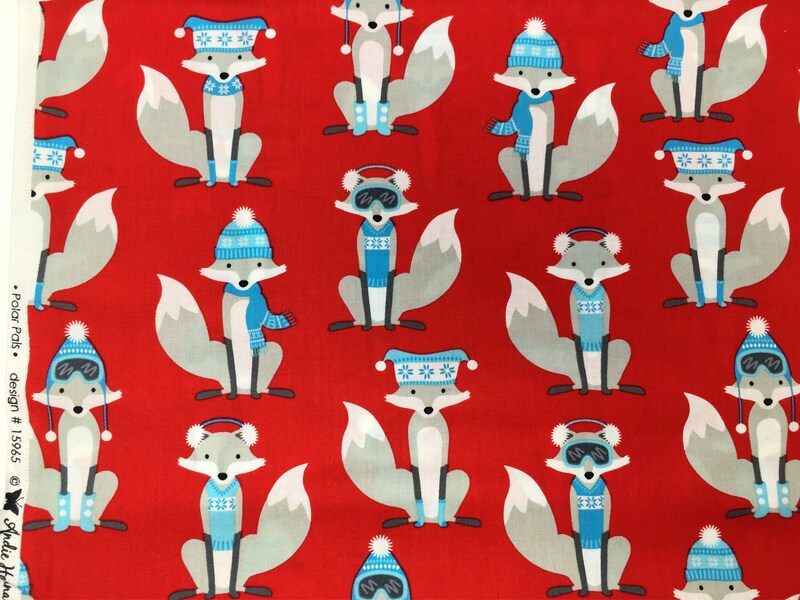 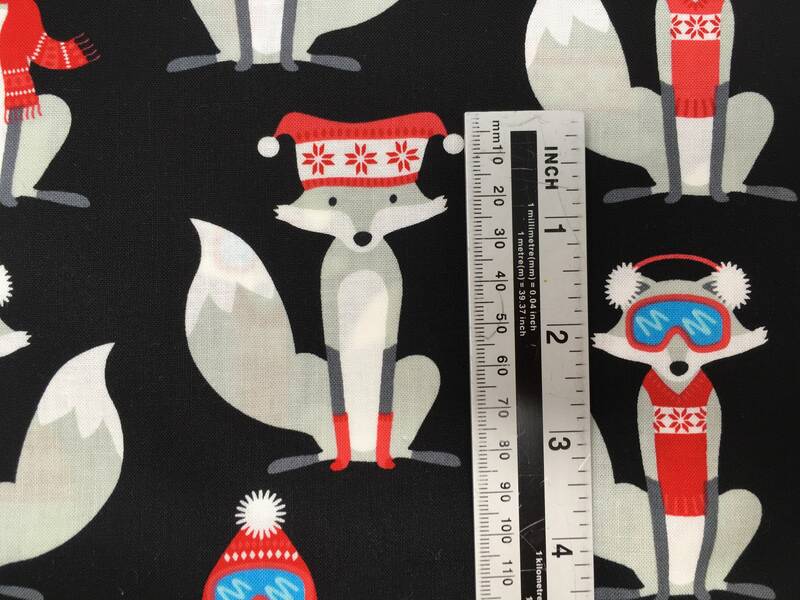 Fabulous foxes dressed in ski gear. 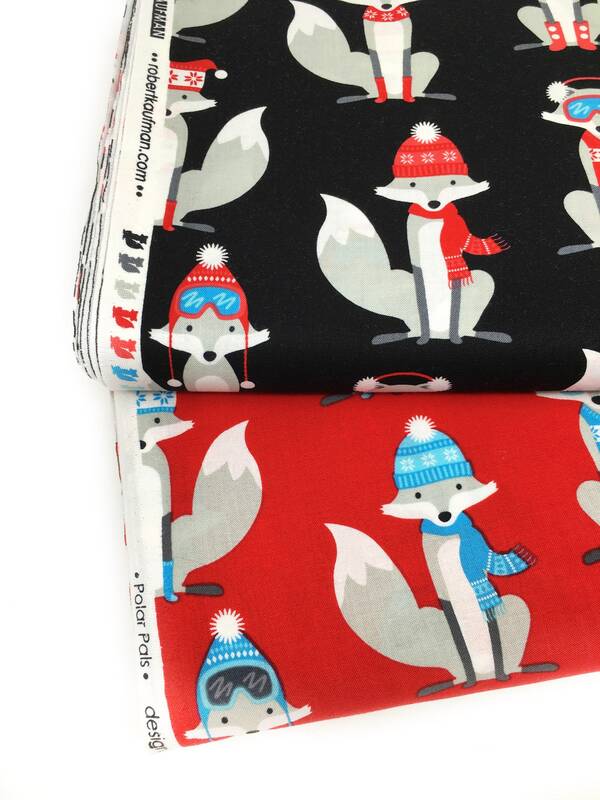 Matching plains are also available.